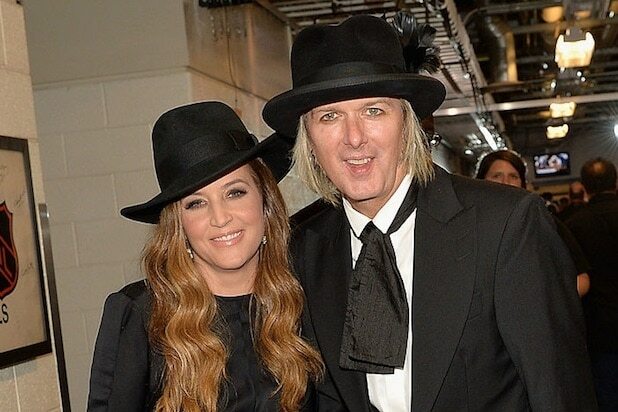 Lisa Marie Presley is going to have to crack open her purse and dig deep. The daughter of deceased music legend Elvis Presley has been ordered to pay $100,000 for her ex Michael Lockwood’s attorney’s fees, according to court paperwork obtained by TheWrap. Presley has 30 days to pony up the money, the decision, handed down Wednesday, notes. “[T]he court awards Respondent’s counsel the sum of $100,000 to be paid by the Petitioner to be paid by the Petitioner within 30 days,” the decision reads. The amount is a compromise between what Presley and Lockwood had been seeking. According to court papers filed earlier this month, Lockwood had sought $460,000 in attorney’s fees and costs relating to their divorce proceedings, while Presley asked that she pay no more than $40,000. In making her case to pay a maximum of $40,000, Presley filed paperwork stating that she was more than $16 million in debt. The majority of that burden relates to tax debt, which totals just over $10 million, and debt related to a house she bought in the UK, amounting to the $6 million range, according to Presley’s filing. However, Lockwood subsequently filed papers alleging that Presley had been “misleading and inaccurate” about her finances. “Here, there are very good reasons to distrust Petitioner. As stated above, in her February 2017 Income and Expense Declaration, Petitioner represented to the Court that her income was $104,000 per month during all almost all of 2016. But, when she produced an application for extension of time to file her 2016 income tax return, she estimated that her estimated tax liability was $1.676 million, which would mean that her monthly tax liability was more than what she told this Court her monthly income was,” the papers continued. Presley and Lockwood, who married in 2006, have twin daughters together.